Home FitnessYoga Yoga has a new fan! Tom Hanks! Yoga has a new fan! Tom Hanks! The big Hollywood entity endorses Yoga to be one of the best things! And with this the list of distinguished people who love Yoga is growing by leaps and bounds! The actor turns 60 on July 9. He credits yoga for keeping him away from aches and pains. As a yoga practitioner for the past 6 active years, my take is that you call it (Yoga) what you want. It continues to stay one of the best practices for the body and the mind. You can call it Hatha Yoga, Bikram Yoga, Vinyasa, kundalini or Power yoga, the benefits come in every form and for everyone to reap. You don’t even need a mat. You don’t need workout clothes. You can sit at your workstation and still get some stretches in. You could be on a long flight and stretch. You could be on a vacation – in the hills, on the beach, in a city wherever – you can practice Yoga! All you need is a good instructor to introduce you to the good karma of this practice to help you become a self-practitioner and take it with you wherever you go…. Hoping that the Yoga tribe increases! 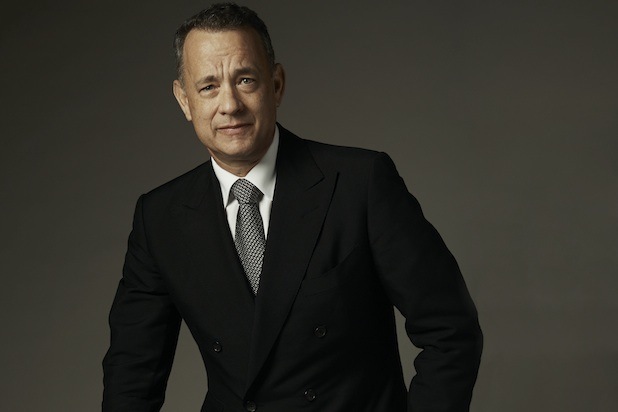 Thank you Tom Hanks, for you would be influencing a lot many into this practice from all around the globe! I am a fan! Of you and Yoga! Do you yoga? What made you start Yoga? Share your comments below! Fitness Story : Fighting Back Post Injuries!